The Dower and Hall Sterling Silver Wild Rose Sphere Drop Earrings feature beautiful 14mm rose spheres suspended on sparkling ear wires. These earrings are a stunning addition to any outfit and are a perfect gift for her. The drop earrings are 28mm in length and are made from Sterling Silver. 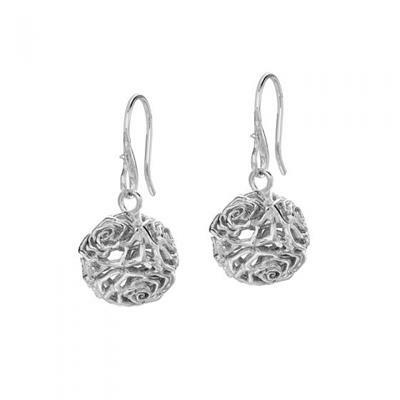 The earrings features an openwork floral sphere design.